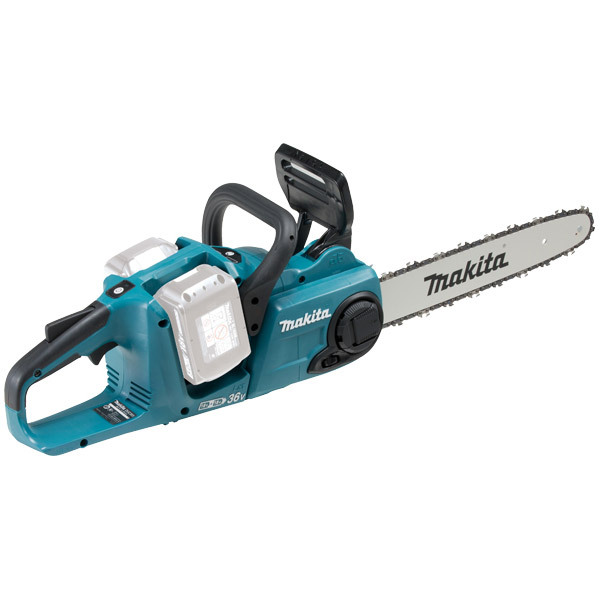 DUC353 is a cordless chain saw powered by two 18V Li-ion batteries in series. Main power switch with auto power-off function. • Chain Gauge: 0.043 "
• Chain Pitch: 3/8 "